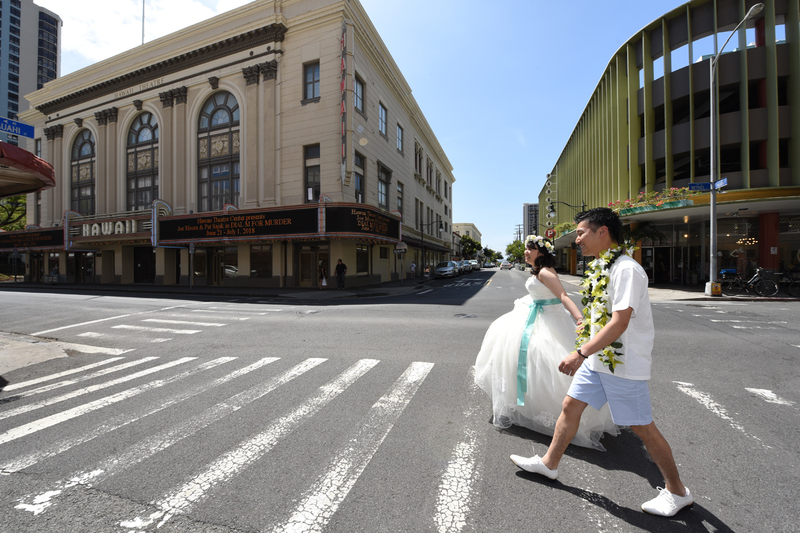 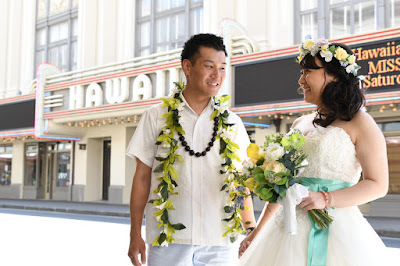 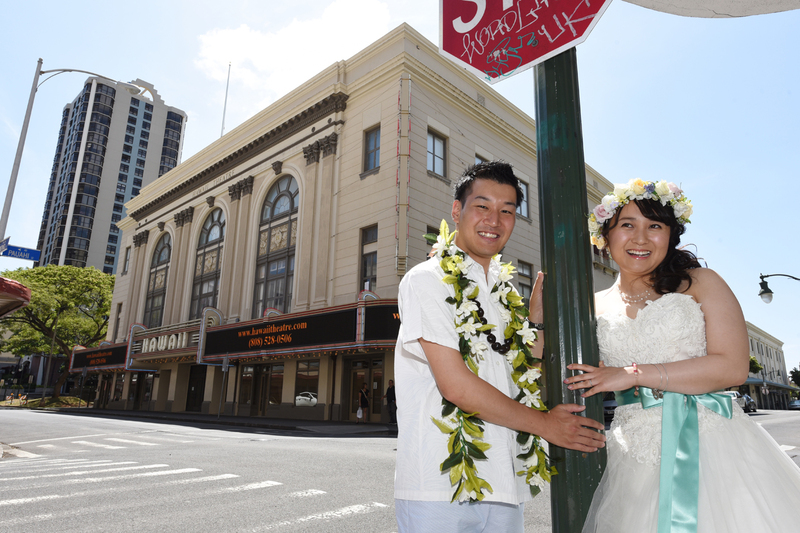 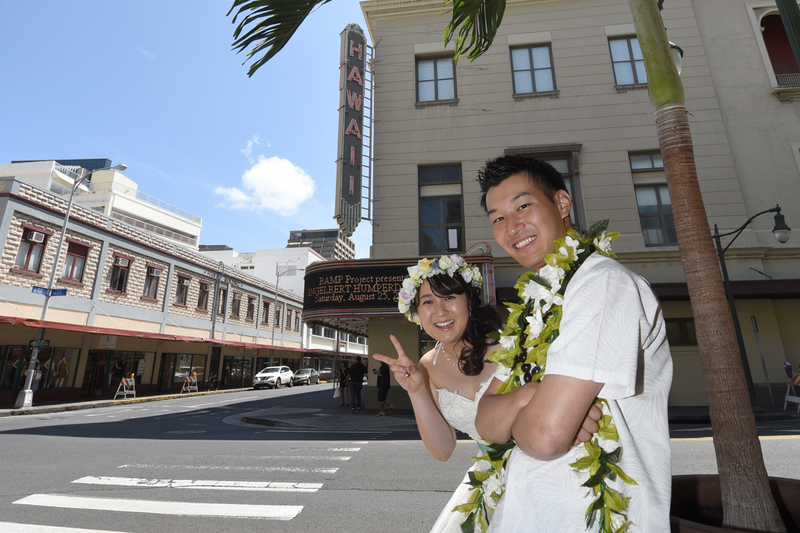 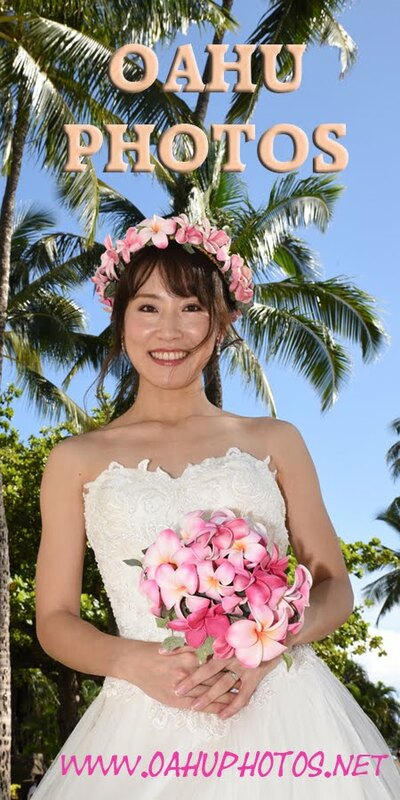 Hawaii Theater in downtown Honolulu is a popular spot for Japanese honeymooners to shoot souvenir Oahu photos. I think the wedding gown and tuxedo help make the atmosphere of the photos. 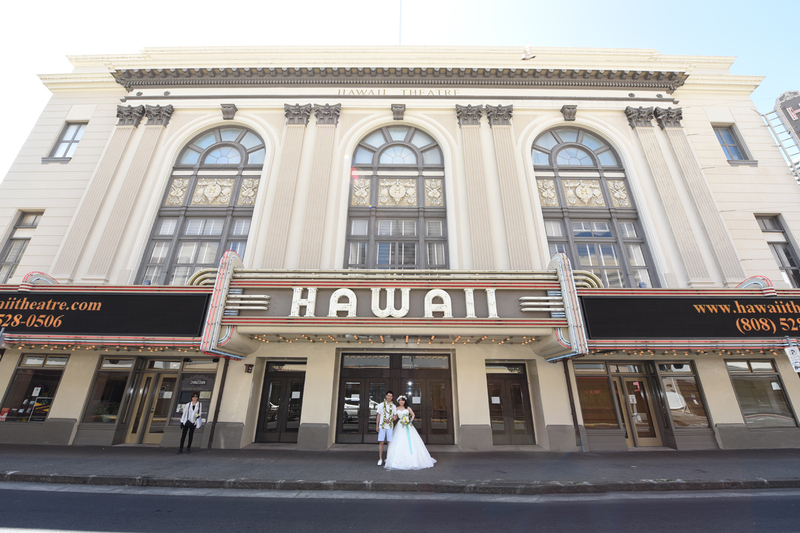 It wouldn't be the same if you show up wearing casual attire.